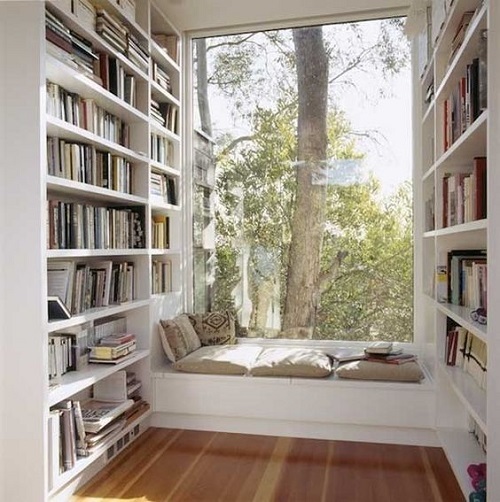 This one's pretty simple, because who needs interior fussiness when there's a view like this. Slightly embarrassingly it reminds me of the Cullen house in the Twilight films, but is beautiful nonetheless. This corner sofa is uber traditional looking, perfect if your home has a period or cottage feel to it. 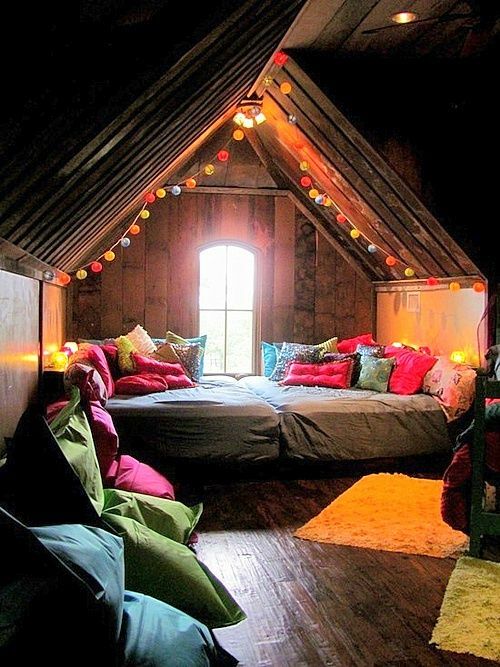 Continuing the cosy theme, this colourful attic space is the stuff of boookworm dreams. 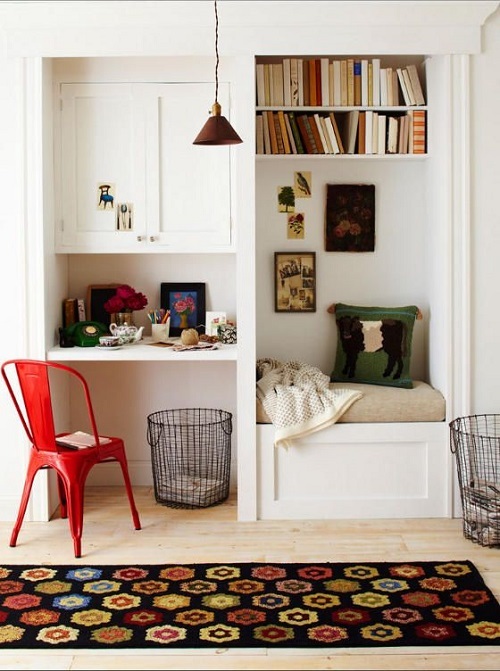 The pops of colour in this nook make for an inspirational work space, too. 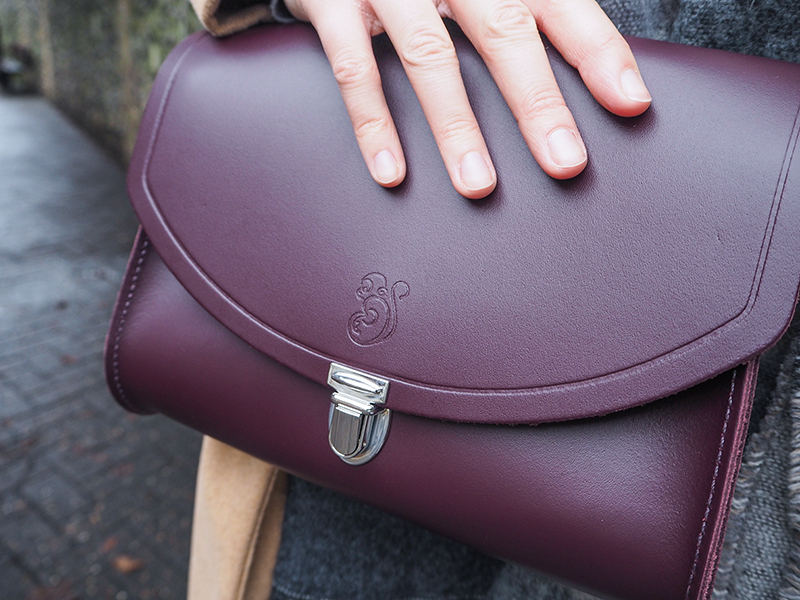 Or perhaps you prefer a more feminine colour palette? This chair is calling out to me! Let's take it monochome for a minute here, blankets and all. 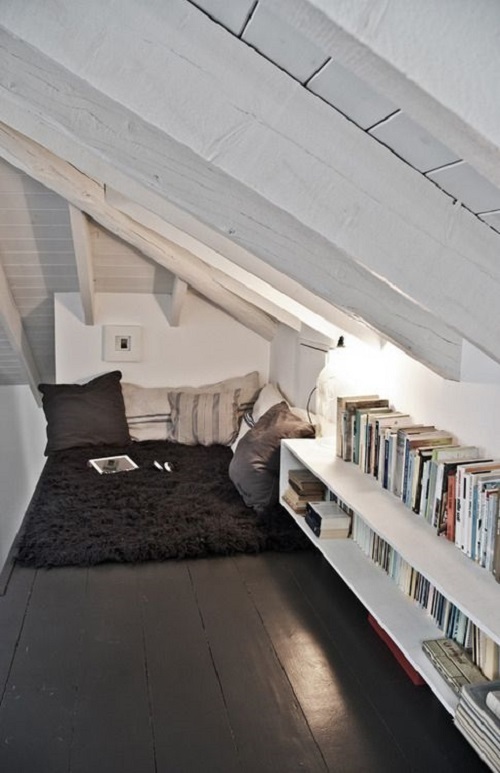 This attic space is bright, airy, cosy and comfy all at once! And last but not least, my personal favourite. 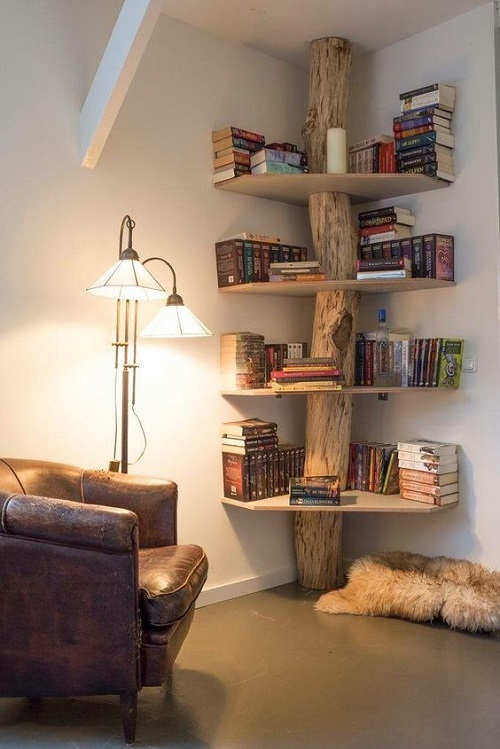 The tree trunk shelves remind me of the hobbit houses in the shire! 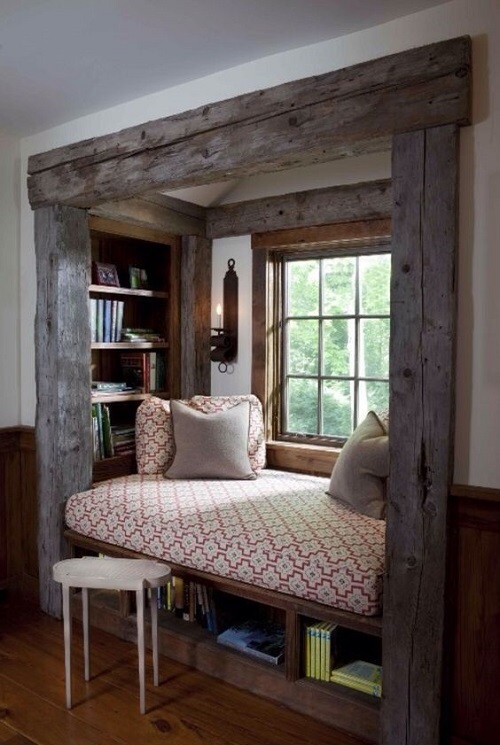 Where do you like to curl up and read? All images in this post, and their sources, can be found over on my Interiors Pinterest board. 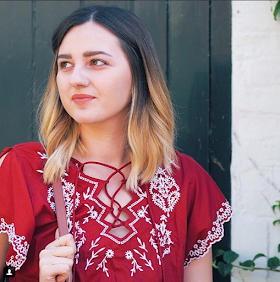 Don't forget to follow for more!